Soul Caliber was probably my favorite game on the Dreamcast (oh, how we miss you Dreamcast). Many many happy hours were spent pummeling opponents in that game. One of the stand out characters was Ivy, not only for her amazing segmented whip sword, but of course for her costume and her figure (yes, totally silly, and clearly designed by a man). But she could certainly deliver some punishment. 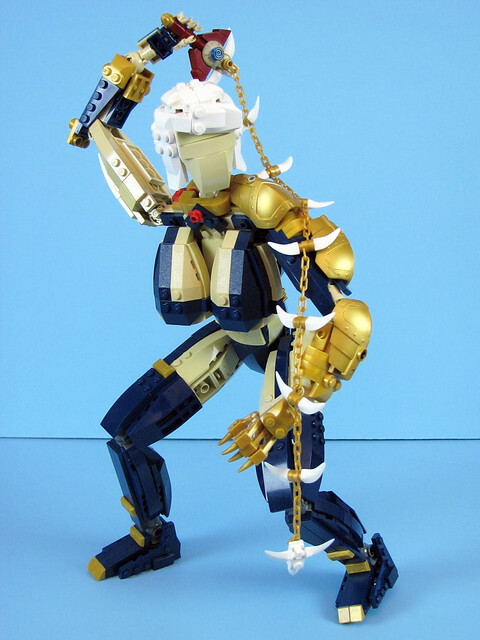 This Iron Builder inspired rendition by Pepa Quin is instantly recognizable.